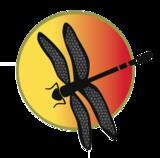 This half-day course of instruction is offered through Dragonfly Release. Dates: Contact Dragonfly Release - Group Bookings a Speciality!! Are you taking on other people's “stuff”, sensitive to energy around you or feeling drained? Are you in a professional field of healthcare - Massage Therapy, Dentistry, Physiotherapy, Nursing etc, where you work with people or offer healing to others? Not sure how to protect yourself energetically & spiritually in today's world? Then this workshop is a MUST for you. Clear and protect yourself from other people's draining energy & get your energy high again! This brief, but focused, four hour course explores the reasons for grounding techniques, something that most therapists/body workers/healthcare professionals are conscious of, but fail to arm themselves with! Practical demonstrations will be conducted, together with a handy manual outlining a number of techniques and methods, which is yours to keep!! Please note a non-refundable deposit of $50 is required to secure your place on this course, with balance paid on the day.